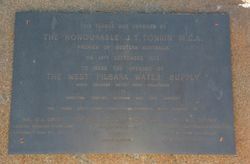 A plaque commemorates the opening of the West Pilbara Water Supply in 1973. 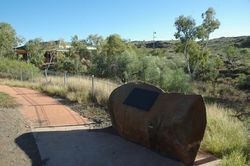 Three river gums were also planted to mark the occasion. THE HONOURABLE J.T. TONKIN M.L.A. Karratha, Dampier, Wickham and Cape Lambert. 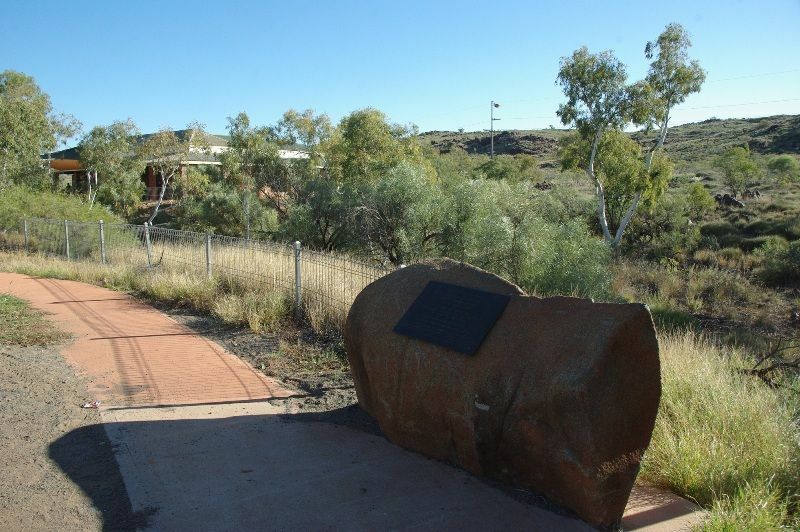 Cliffs Western Australian Mining Co. Pty.Ltd.